The information contained in this website is for general information purposes only. The information is provided by The Sisters of St. Joseph of Boston and while we endeavor to keep the information up-to-date and correct, we make no representations or warranties of any kind, express or implied, about the completeness, accuracy, reliability, suitability or availability with respect to the website or the information, products, services, or related graphics contained on the website for any purpose. Any reliance you place on such information is therefore strictly at your own risk. 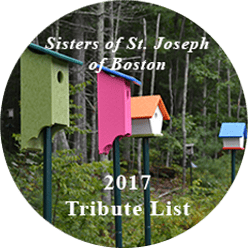 Through this website you are able to link to other websites which are not under the control of The Sisters of St. Joseph of Boston. We have no control over the nature, content and availability of those sites. The inclusion of any links does not necessarily imply a recommendation or endorse the views expressed within them. Every effort is made to keep the website up and running smoothly. However, The Sisters of St. Joseph of Boston takes no responsibility for and will not be liable for the website being temporarily unavailable due to technical issues beyond our control. The Sisters of St. Joseph of Boston is committed to ensuring that your privacy is protected. Should we ask you to provide certain information by which you can be identified when using this website, then you can be assured that it will only be used in accordance with this privacy statement. The Sisters of St. Joseph of Boston may change this policy from time to time by updating this page. You should check this page from time to time to ensure that you are happy with any changes. This policy is effective from 8/1/13. We use traffic log cookies to identify which pages are being used. This helps us analyze data about web page traffic and improve our website in order to tailor it to your needs. We only use this information for statistical analysis purposes and then the data is removed from the system. 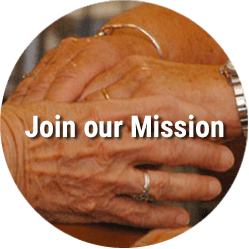 If you have previously agreed to us using your personal information for direct marketing purposes, you may change your mind at any time by writing to The Sisters of St. Joseph of Boston, 637 Cambridge Street, Brighton, MA 02135 or communications.office@csjboston.org . We will not sell, distribute or lease your personal information to third parties unless we have your permission or are required by law to do so. 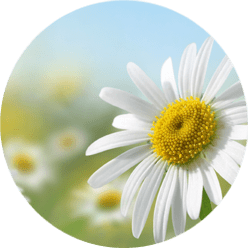 We may use your personal information to send you promotional information about third parties which we think you may find interesting if you tell us that you wish this to happen. 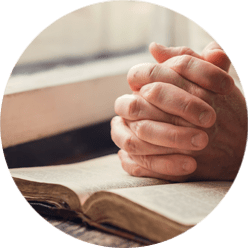 If you believe that any information we are holding on you is incorrect or incomplete, please write The Sisters of St. Joseph of Boston, 637 Cambridge Street, Brighton, MA 02135 or communications.office@csjboston.org as soon as possible. We will promptly correct any information found to be incorrect.